On Saturday August 10th 2013 we were at the Longue Vue Club in Verona Pennsylvania. The event was a wedding reception for Matthew and Lauren Perri. Lauren and Matthew were married at 3:30 pm at the Northmont Presbyterian Church in the North Hills of Pittsburgh. Guests began arriving at the Longue Vue Club shortly after 5:00 pm where they enjoyed cocktails and appetizers as the bridal party posed for photographs with Rachel of Rachel Tokarski Photography. At 6:30 pm guests transitioned from the living room and outdoor patio to the main ballroom, where the remainder of the reception was held. After the introduction of the bridal party, Lauren and Matthew cut their wedding cake prior to dinner. Dinner was prepared by the culinary staff at the Longue Vue Club and was served sit-down style. 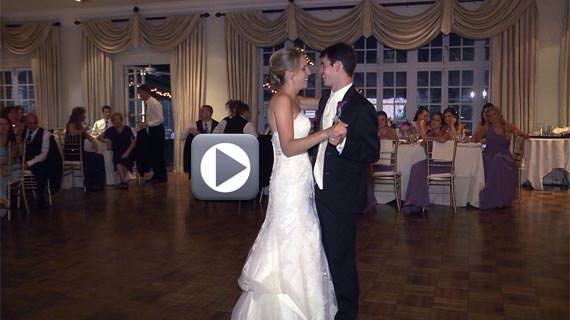 After dinner Matthew and Lauren shared in their first dance together as husband and wife to the song You Are The Best Thing by Ray LaMontagne. Throughout the remainder of the evening, guests danced to the sounds of DJ Pifemaster until the wedding reception ended at 11:00 pm.